Rich Charm (blue) has been scratched from the Aurie’s Star at Flemington after cutting a leg. Rich Charm has been given a course of antibiotics which has ruled him out of Saturday’s Group Three Aurie’s Star Handicap. 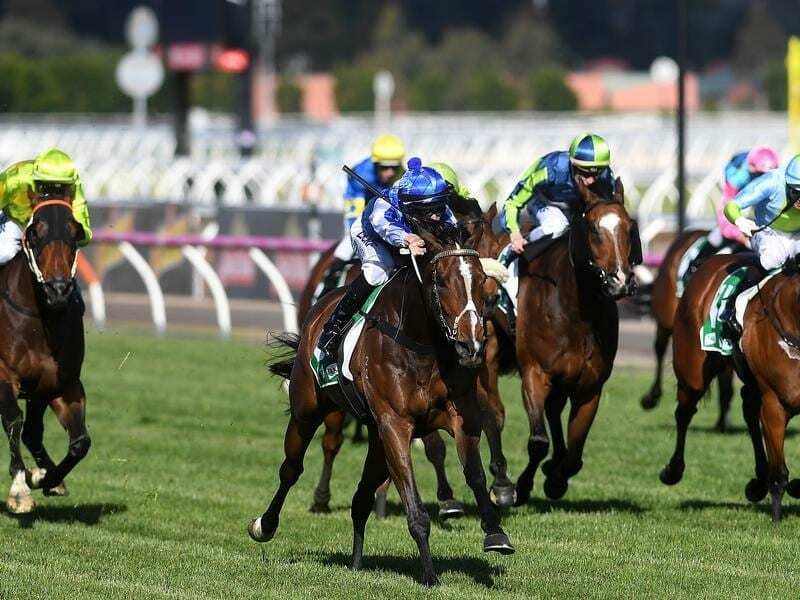 “He kicked himself on the hind leg and he had to have antibiotics and because there’s a seven-day stand-down, I can’t race him,” Clarke said. “I’m so paranoid with him. Rich Charm has continued working in a self-made water-walker at Clarke’s property. “We’re not riding him,” she said. “I’ve got a good pool here that I’ve pumped out and made into a water-walker. “He’s able to walk around there and keep himself right but I’m not making any plans until I see what he’s like in a few days time. “These things happen for a reason, but I go without sleep,” she said. “Whenever they’re sick I always stay with them.